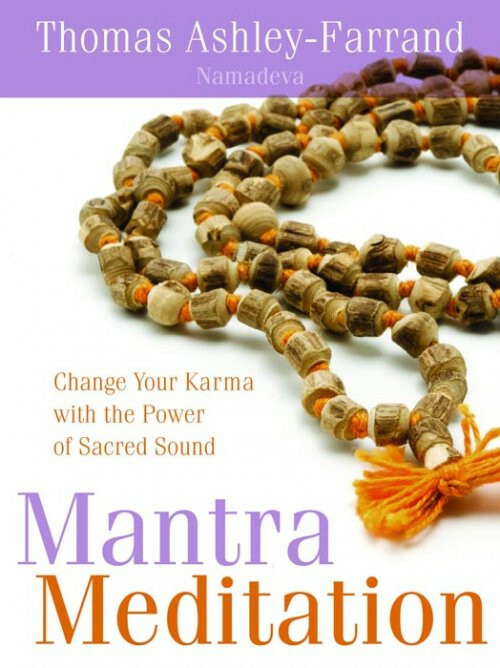 A book and CD for learning the ancient art of mantra for spiritual transformation. Karma: the consequence of all of your actions, decisions, thoughts, and emotions. According to Thomas Ashley-Farrand, karmic patterns from the past are always with you, affecting everything you do—for better or for worse. With Mantra Meditation, you will learn how to use genuine Sanskrit mantras to balance your chakras (your body's seven spinning energy-centers) to dissolve negative karma. “When you begin to chant these ancient formulas,” teaches Ashley-Farrand, “the petals on your chakras begin to resonate, and they pull in spiritual energy.” With Mantra Meditation—designed as a 40-day practice or a lifelong tool—your spiritual energy grows, your karma disperses, and your path clears to bring you everything you desire through the fusing of your own efforts and the infinite generosity of the universe. Includes a CD of 15 guided mantra meditations and instructions for Sanskrit pronunciation. we are from Russia and bought your book in Russian, and after read it we start our practice with mantras. I have a question about some spelling difference. For example - mantra OmSarvaKamadayaNamaha (track 3 on the CD), when we heard it, the track sound like OmSarvaKamaday( R )Namaha (we hear sound R between Kamadaya and Namaha). In our practice we must repeat sounds from CD or read and pronounce like in the book (in the book this mantras write without letter R)? Your book is nice and easy for understanding and really motivating.